In the world of Buddhism there is a figure known as Avalokiteshvara in India, as Kuan Yin in China, and as Kannon in Japan. He or she (in some cultures the avatar is male, in most, female) is the figure of compassion, an enlightened being who passes up liberation from suffering in order to care for others. In the iconography, Kuan Yin is often pictured balanced on a lotus leaf, clutching a small vase, which she uses to collect the tears of the suffering and return them to the ocean. She is, in a manner of speaking, the goddess of listening; the silent witness of all that is hard to bear. Recently, I have been taking a course on memoir writing with Sue Reynolds, and enjoying the sense of accountability that I seem to need to work on my personal writing projects. As part of this course I decided to write about an event in my family that was very traumatic, and that, up until now, I’ve never even tried to express. When I finally spit it out, in a very short and unelaborated way, I had a feeling of incredible relief. Just the act of finally putting it down on paper, or rather, figuring out a way to put it down, has been tremendously therapeutic. Why is writing such a useful form of therapy? Copious research supports the use of writing in helping people to overcome post-traumatic stress. One of the most effective PTSD treatments being used today involves having survivors dictate or write their story with support (either human, pharmacological or both) and then having them re-read the story day after day to a trained listener, until they can read it without overwhelming pain. One of my therapist friends describes trauma as emotion looking for an experience, or something amorphous and disembodied that needs to be made real in some physical way—which is exactly what we do when we write. Writing down a trauma is different than just telling someone about it. First, the act of writing allows plenty of time and space. Often when we try to describe an experience we are derailed by the response we receive. Nothing shuts down a difficult tale as quickly as someone offering helpful suggestions. Good psychotherapists learn to maintain silence for a reason. Our culture, and our society does not give us many opportunities to express our grief, and the opportunities we do have (funerals and wakes) have been shortened and sanitized. More and more there is social pressure to repress all forms of “negativity.” Business leaders and self-help gurus argue that no one should be a “Debbie Downer.” (Every time I hear this admonishment my right eyelid starts to twitch). So what do we do with our sadness? And how do we help those who suffer? Reading about suffering is difficult. 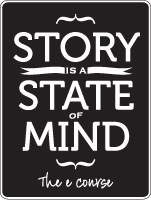 There are many stories, both real and fictional, that bring up difficult emotions. Often we prefer to live in our world of escape and entertainment, where happy endings are guaranteed and the boy always gets the girl in the end. But being a witness and hearing the suffering can change us in profound and important ways. We can become more human, more empathetic and more connected. Being willing to bear witness is an act of compassion, and even when we cannot change the situation in a substantive way, being willing to engage, eyes open, is a form of solidarity. Reading about the suffering of others connects us to one another in a way that is not necessarily mediated by the machinations of power and economics. The experience may not be fun, it might even make us cry, but in the end it benefits us all. Addendum: Sue Reynolds created a moving TED Talk about her work in prisons. Well worth watching if this topic is of interest to you.